If you just signed up, a welcome message with further instructions has been sent to your e-mail address. Sign up to receive email notification of updates to this website. You can subscribe to individual projects. 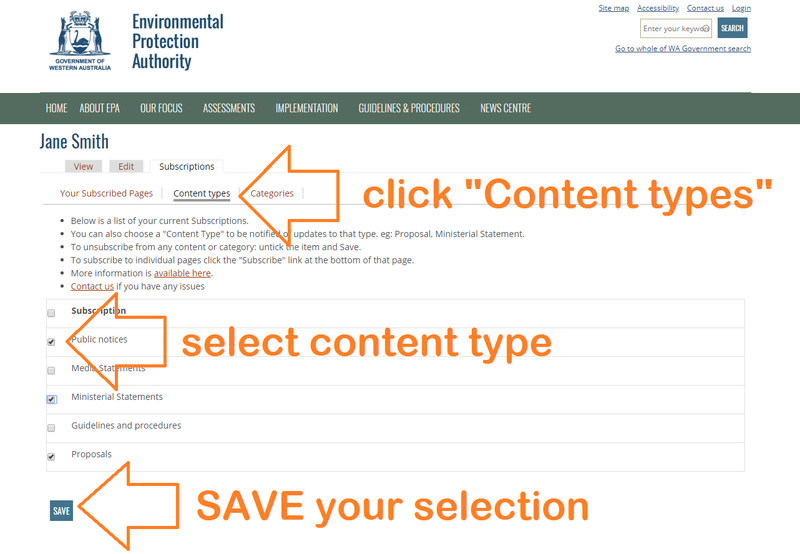 You can subscribe to Content Types: eg Proposals, Public Notices, Ministerial statements, Media Statements, or Policies and guidance content. You can subscribe to content related to categories: Industry Sector, Region, and Environmental Factors. To subscribe to content click here to create a user account. Your e-mail address is not made public and will only be used if you wish to receive a new password or receive notifications by e-mail. Check your email account and follow the instructions to verify your email address and create a password. Logged-in users can click on the Subscribe link at the bottom of relevant pages to select and be notified of updated items. You will automatically be sent an email when selected content is updated. If you subscribe to a specific page you will be notified when that item is updated. 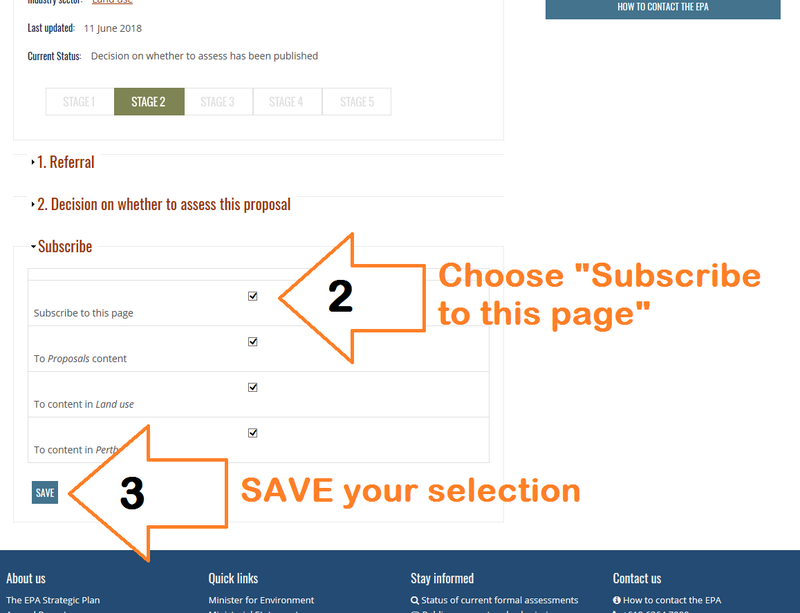 If you subscribe to a specific Content Type you will be notified when any new content of that type is added or updated. If you subscribe to a Category you will be notified when content under that category is updated. You can view and manage all your subscriptions from the My Account link in the right sidebar. Log in to the site with your USERNAME (ie not your email address). 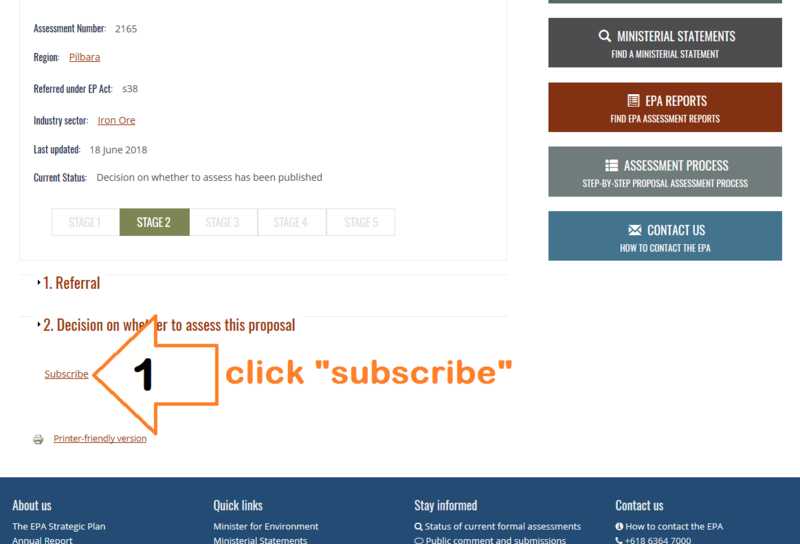 Select "Subscribe to this page"
You will automatically be sent an update notification to your email address, when this specific content is updated. You will automatically be sent an update notification to your email address whenever content of this type or category is added or updated.